Summicron-C 40/2 read about it here. Looks like the Show is Sold Out! Newark Pavilion will be stuffed to the gills with great deals on cameras, lenses, accessories. New and Used, Vintage and Modern, Digital and Film. Don’t miss the next show on Saturday, February 23rd! We have professional buyers on hand to buy your gear. Laowa lenses is having a factory demo and sale, Seawood Photo has all kinds of great stuff, All your favorite vendors are coming so don’t miss out! Jeff Martz is giving another excellent talk on Photography and Photo History. What the “L” is Going On? 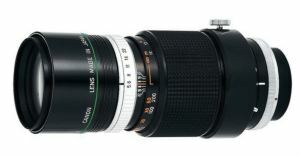 Many Canon L lenses can be found at the next PhotoFair show on the 23rd of this month!